When NASA Administrator Charles Bolden releases the space agency’s fiscal year 2011 budget this week it will likely be the beginning of a startling new phase of space research and activities. When it comes down to it, NASA is the most accomplished space organization in the world, but its human spaceflight activities are at a tipping point, primarily due to a mismatch of goals and money. That was the conclusion of the Augustine Review of United States Human Space Flight Plan Committee report delivered to the White House last October. The report said NASA’s fundamental conundrum is that within the current structure of the budget, NASA essentially has the resources either to build a major new system or to operate one, but not to do both. Money is a problem especially when it comes to NASA’s biggest expenditure: the Ares rocket. According to the GAO, NASA estimates that Ares I and Orion represent up to $49 billion of the over $97 billion estimated to be spent on the Constellation program through 2020. However, the Constellation program has encountered daunting challenges in terms of design, testing, manufacturing, and poorly phased funding that have led the program to slip its target for a first crewed flight to no later than March 2015. While the agency has already obligated more than $10 billion in contracts, at this point NASA does not know how much Ares I and Orion will ultimately cost, and will not know until technical and design challenges have been addressed, the GAO stated. And indeed it likely won’t. But what will NASA do? There are a ton of possibilities and projects. For example the action most likely to generate the most attention this week will be the directive to move forward aggressively with a commercial launch of crews to low-Earth orbit. NASA will be part of the support of some of these missions but such services should be a boon to many US aerospace companies. The aerospace consultancy Futron said that as much as $1.5 billion may be up for grabs for commercial space operations in the next ten years. It will be interesting to see what happens with Mars, as the Augustine commission said Mars is the ultimate destination for human exploration. If humans are ever to live for long periods on another planetary surface, it is likely to be on Mars, the commission stated. NASA space shuttle Endeavour rockets onNASA gave its space shuttle Endeavour a thumbs up this week for an expected nighttime launch on Feb. 7. According to NASA at this point there are no issues that could impede an on-time liftoff of Endeavour and for the for the space shuttle program’s 32nd visit to the International Space Station. Endeavour's flight will begin the final year of space shuttle operations. Five shuttle missions are planned in 2010, with the final flight currently targeted for launch in September. NASA hears nothing from Mars Phoenix roverSo far it looks like the outside chance that NASA’s frozen Phoenix Mars Lander is still alive is -- way outside. The space agency said this week that its Mars Odyssey orbiter flew over the lander 11 times between Jan. 19 and 20, without hearing anything from Phoenix. Nineteen more listening overflights are planned this month and more in February and March. NASA wants your Mars photo target ideasNASA recently said it would begin soliciting public photo shoot suggestions for the cutting edge camera onboard its Mars Reconnaissance Orbiter. And it's no ordinary camera. NASA said the orbiter's High Resolution Imaging Science Experiment camera, or HiRISE, is the most powerful camera ever to orbit another planet. 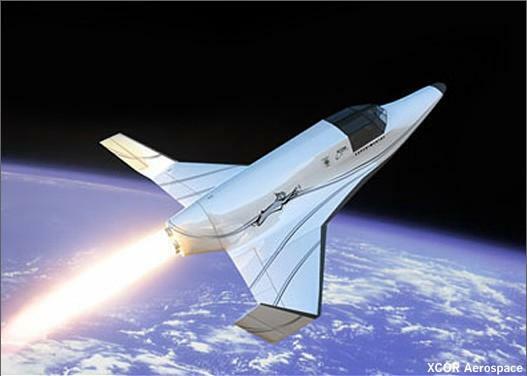 NASA test drives all-composite prototype spacecraftWith an eye toward building safer, lighter and tougher spacecraft, NASA said its prototype space crew module made up of composite materials handled tests simulating structural stresses of launch and atmospheric reentry.